I was privileged last month to attend the World Innovation Summit for Education (WISE) in Doha, Qatar. The Learners’ Voice program brought together 30 young people from 24 countries. There were two primary takeaways I had from the WISE Summit, first with respect to the love of learning and the second regarding the role of the student or learner in that process. One interesting question came up for vigorous debate: should education focus on preparing students for the workforce or instilling in them a love of learning? I believe we should aspire to create an educational process that does both. Excellent teachers and curricula are vital elements in fostering in children a love of learning. In the United States, we are seeking to improve the quality of the curriculum with the Common Core standards. The standards emphasize critical thinking and deeper engagement with the content of our courses. Students who are engaged and love to learn will likely succeed in their studies and, thus, be more ready for the workforce. Throughout the WISE summit, leaders in all fields discussed the importance of listening to the voice of learners. Giving students input into what and how they learn helps to ensure that they enjoy their educational experiences. Whenever students are capable of meaningful input into their learning process, we should welcome that collaboration. When students take ownership of their education, they see how their skills and knowledge help them navigate our complex world. We must move past the formalities of listening to the recipients of our education. Structures such as student councils or cursory feedback systems are not sufficient by themselves. Leaders must ensure that such structures are actually used for meaningful engagement. Learners who are engaged and excited about learning are going to perform better in school or whatever environment in which they learn. Better students make better workers, citizens, and human beings, realizing the promise of education. Additionally, when considering the voice of the ones learning, institutions at every level and society as a whole should take greater pains to ensure all voices are heard. Often we know what the most talented students think and need. However, learners with the confidence to make their voices heard might not include students who are struggling academically or who have special educational needs. These students would benefit most from a collaborative learning environment. 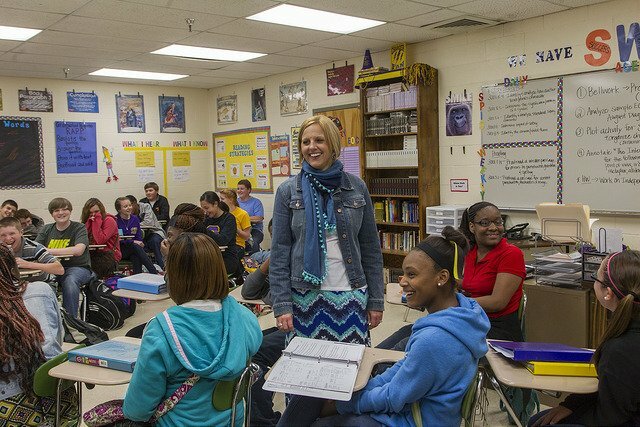 Greater efforts by teachers and policymakers should consider how to engage those voices. One terrific example is the inclusion classrooms that allow students with special needs to learn alongside their peers rather than in isolation where, even if their voices are used, the magnitude of what they say is lessened because their classmates do not hear it. Overall, I came away from the WISE Summit inspired and energized about the possibilities for education in the future. I invite you to further explore the way WISE Prize Award winners and Laureates on the ground are cultivating in students a love of learning, and giving them a say in their educational process.